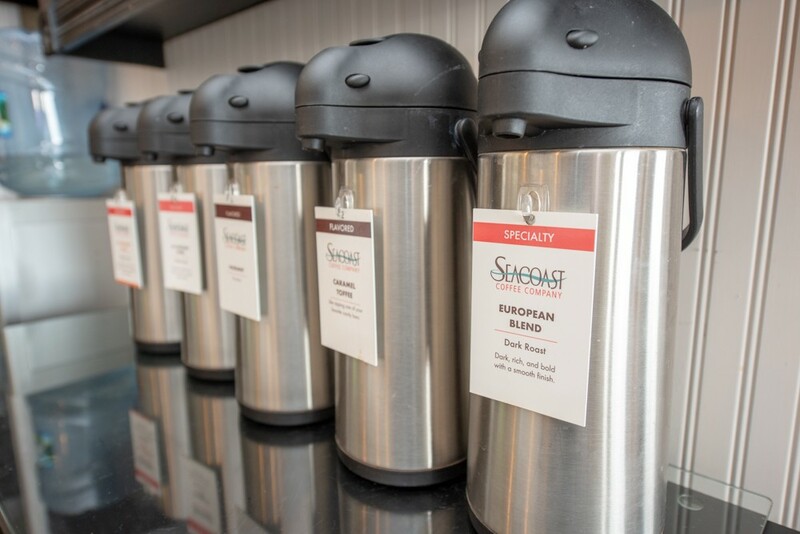 Included in your stay is a full breakfast each morning from 8AM - 10AM. 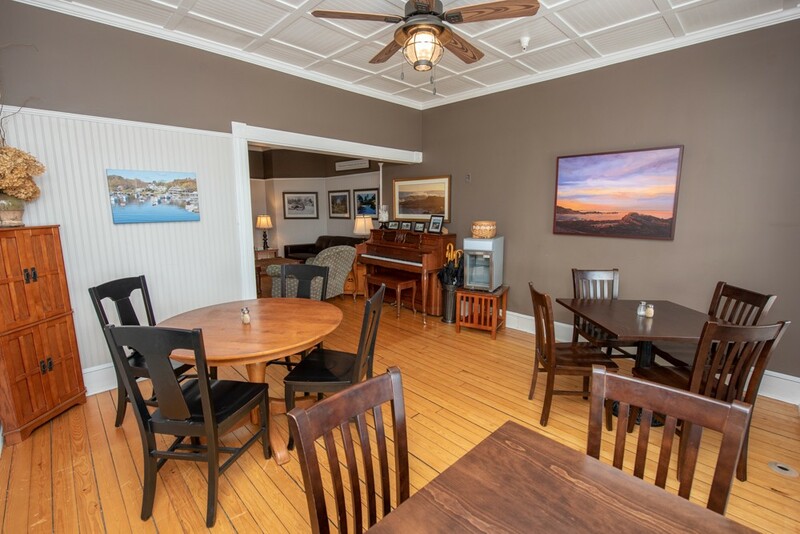 We have two dining rooms set up with individual seating or seating for four, for couples traveling together. 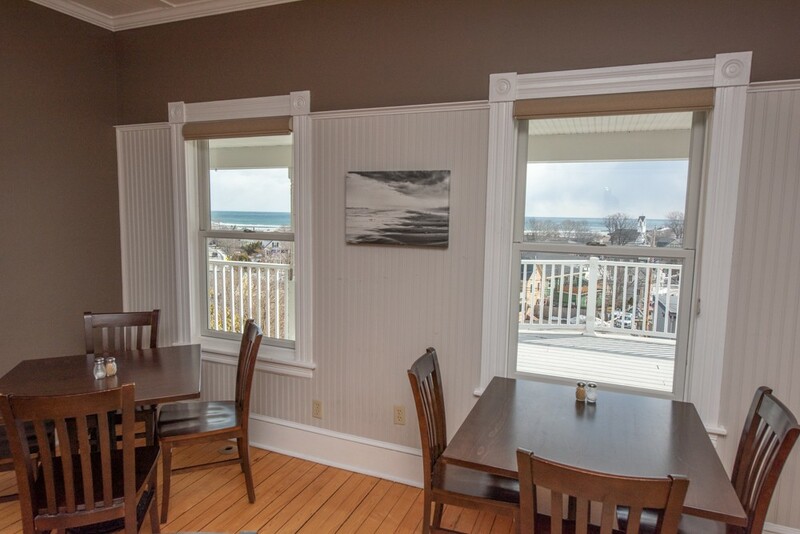 In season we have nice outside tables and chairs to enjoy eating your breakfast on our ocean view porch. A sample of a breakfast would be a nice variety of fresh cut fruit, cereals, and yogurt. 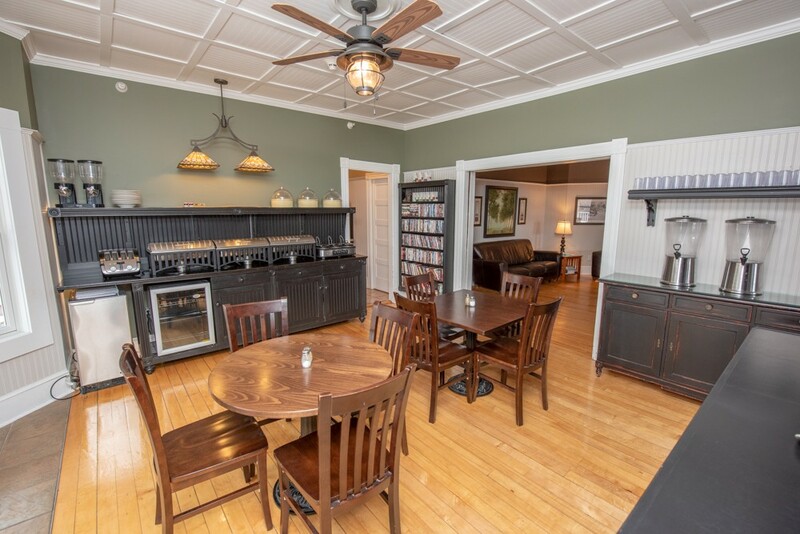 Hot main dishes rotate each day, Cinnamon french toast with home made toppings to choose from, our famous scrambled eggs with home made toppings such as our special sauces, spinach and feta, vegetables, you may also find wild Maine blueberry pancakes, and waffles with toppings. Other chafing dishes may contain freshly shredded spiced and grilled hash browns, sautéed vegetables for over the hash browns, another chafing dish will contain two choices of breakfast meat, examples are thick cut bacon, turkey sausage, chicken sausage, apple chicken sausage, Italian chicken sausage, pork sausage, Canadian bacon, sausage patties, Angus shaved steak, Angus corn beef hash.